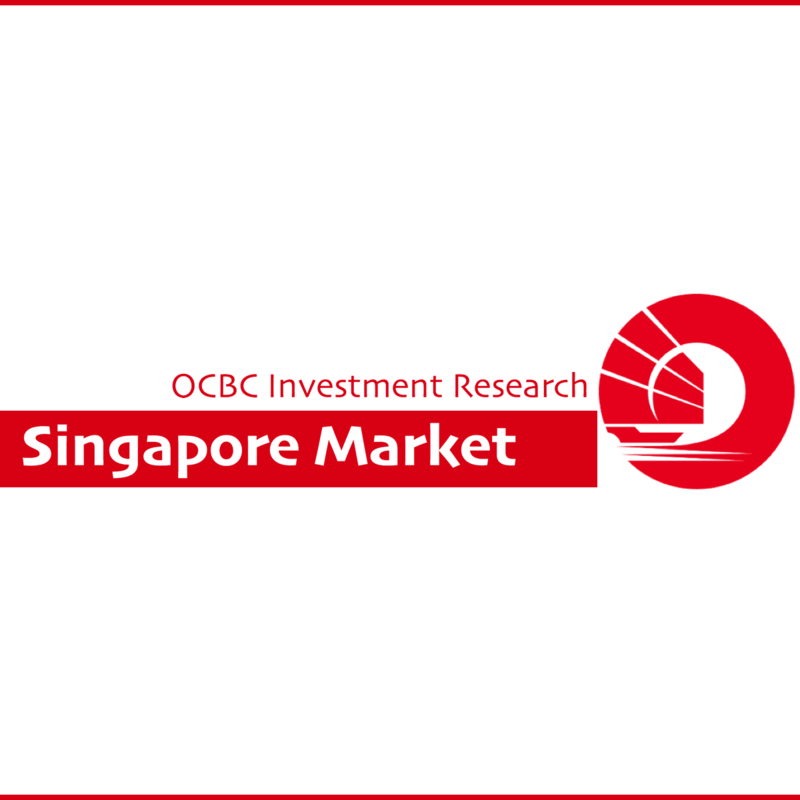 Singapore Market - OCBC Investment 2018-02-07: Great Singapore Sale! The Dow Jones Industrial Average plunged 4.6% on Tuesday, the largest single day decline since August 2011. The situation was also exacerbated by last Friday’s 2.5% decline, bringing the total loss to 7.1% in two trading sessions. In 2011, the selldown was followed by a quick rebound in subsequent trading session. The last time the market saw consecutive big drops over 2 days was in 2008. The VIX also spiked sharply to as high as 50. In regional markets, the Hang Seng Index saw the 4th day of decline and plunged 5.1% on Tuesday, while the STI registered the 3rd day of decline and was down 2.2% on Tuesday, faring slightly better than the rest of the region which saw declines of between 1-6% on Tuesday. With the heightened volatility, risk aversion is likely to prevail. We expect this to favour the defensive stocks and sectors such as the Telecommunications and defence industries. We see the current correction as a good opportunity to re-enter the market. While risks of further weakness remain for the near term, there are still positive drivers for equities, and supported by broad-based economic growth and healthy corporate earnings. In addition, markets have been on a strong uptrend since late last year. For example, the Hang Seng Index saw 17 days of gains for the first 18 trading days of this year, yielding total gains of 10.2% when consensus was expecting the index to post a 10% gain for the year at the beginning of the year. With the across-the-board selling, quality stocks are now at more attractive level, especially for long term investors looking to increase their exposure to blue chips. We like defensive stocks such as SingTel (Rating: BUY; with fair value estimate of S$4.19) and ST Engineering (Rating: BUY; with fair value estimate of S$4.00). In the property space, our picks are UOL (Rating: BUY; with fair value of S$9.70) and City Dev (Rating: BUY; with fair value of S$15.30). In the banking space, DBS is our pick and we recommend accumulation on price weakness (Rating: BUY; with fair value estimate of S$29.50). At current price, UOB is also a BUY with fair value of S$30.10.